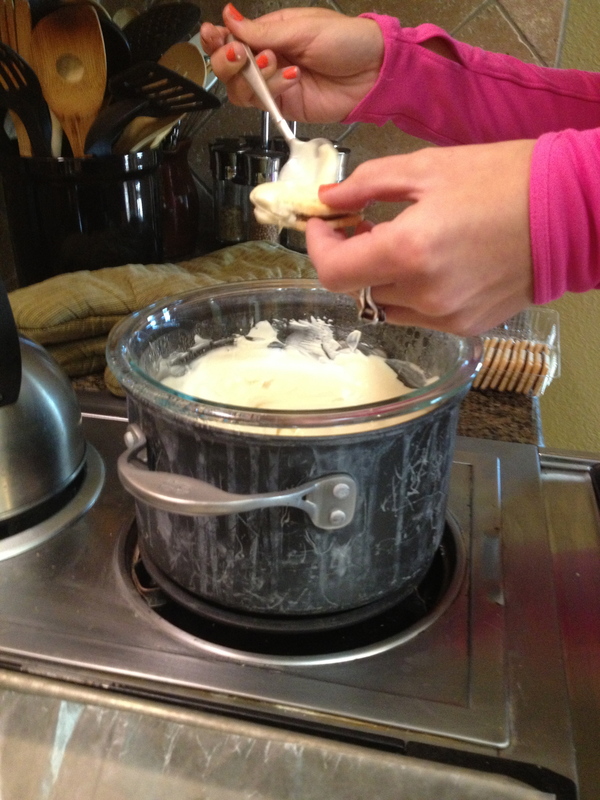 Easiest Halloween Treat Ever | Who's Cooking for Kacey? ~ Where to go, what to order. You're welcome. It does not get easier than this. 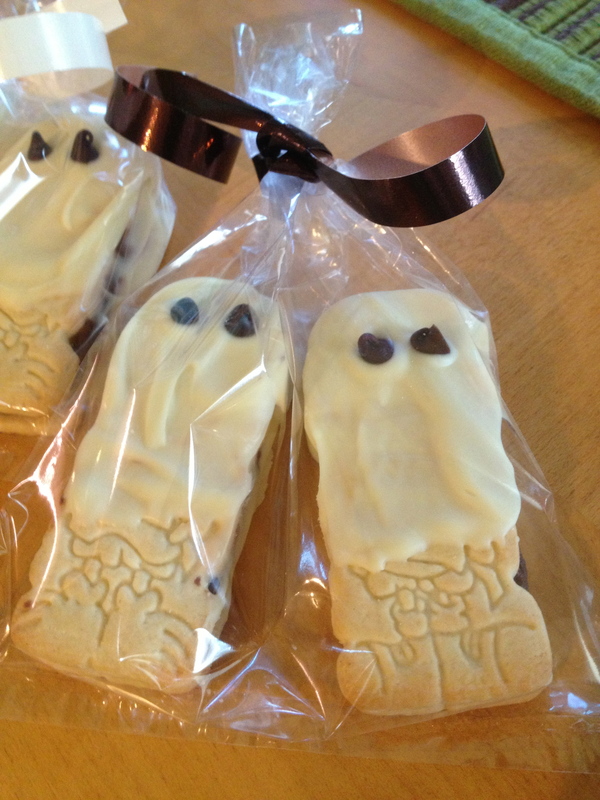 If you are looking for a last minute treat for a party or to pass out as trick-or-treaters get ready to knock on your door, then these white chocolate dipped treats may do the trick. 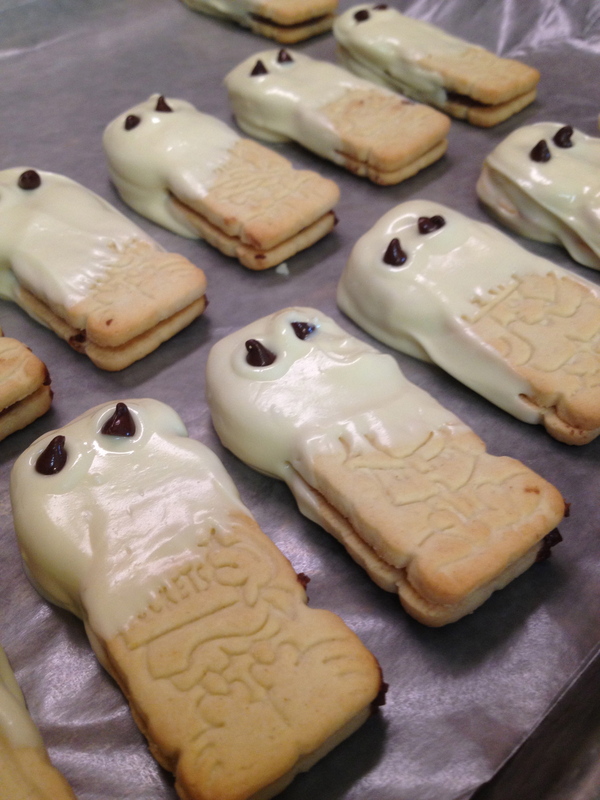 I found this clever recipe that includes Nutter Butter cookies, melted white chocolate baking bars, and mini chocolate chips. 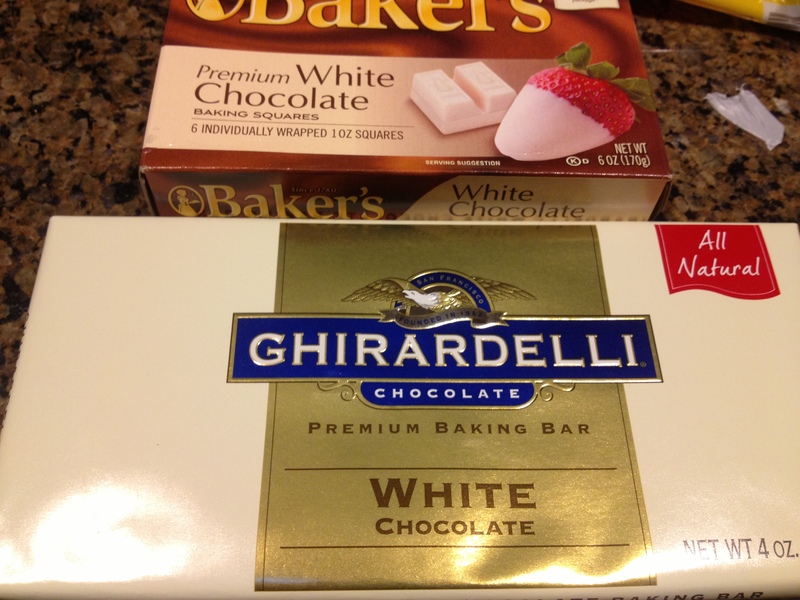 I put my own spin on it and added E.L. Fudge cookies and Ghirardelli white chocolate to the mix as well. 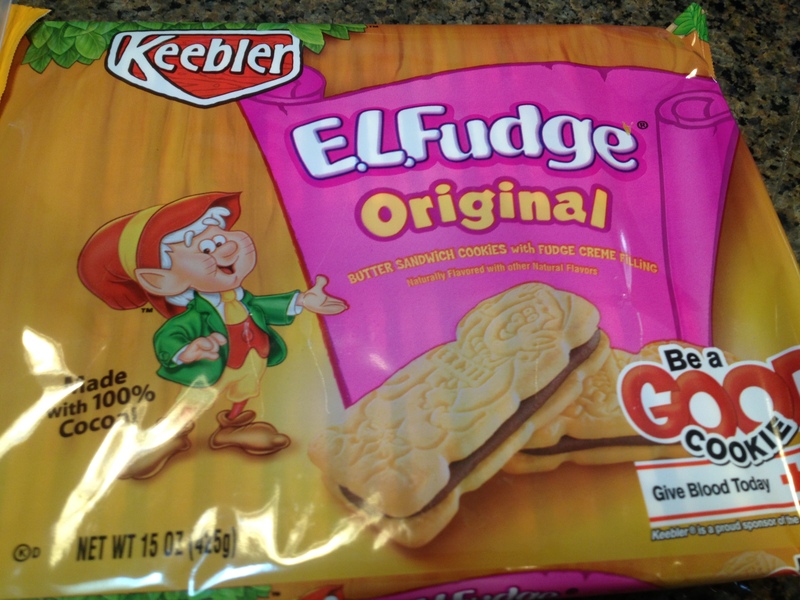 I figured it is a better idea to hand out non-peanut items to children and because I really love E.L. Fudge cookies! 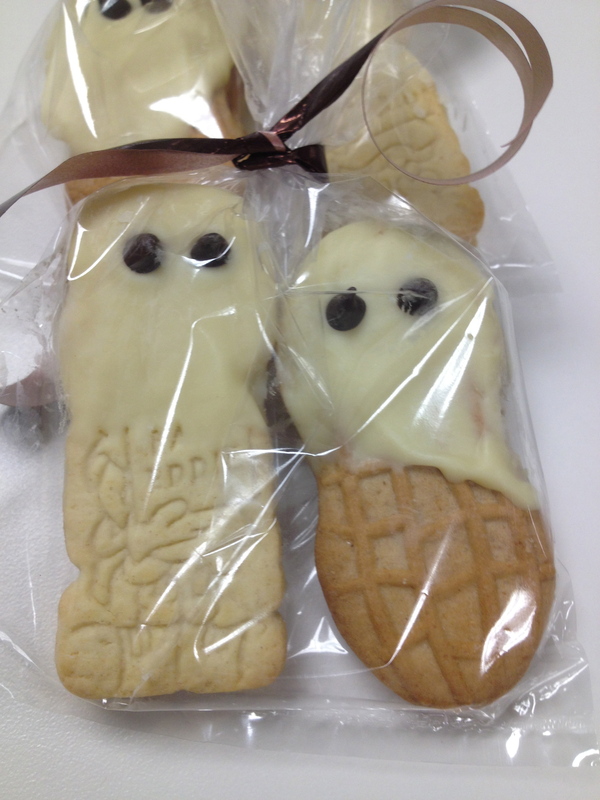 The E.L. Fudge cookies made it look like someone is dressed up in a ghost costume with only the torso and legs showing. Add a little more “cute” by placing two of these cookies side-by-side in a clear bag with some curling ribbon and you’ve got a crafty treat to be proud of. 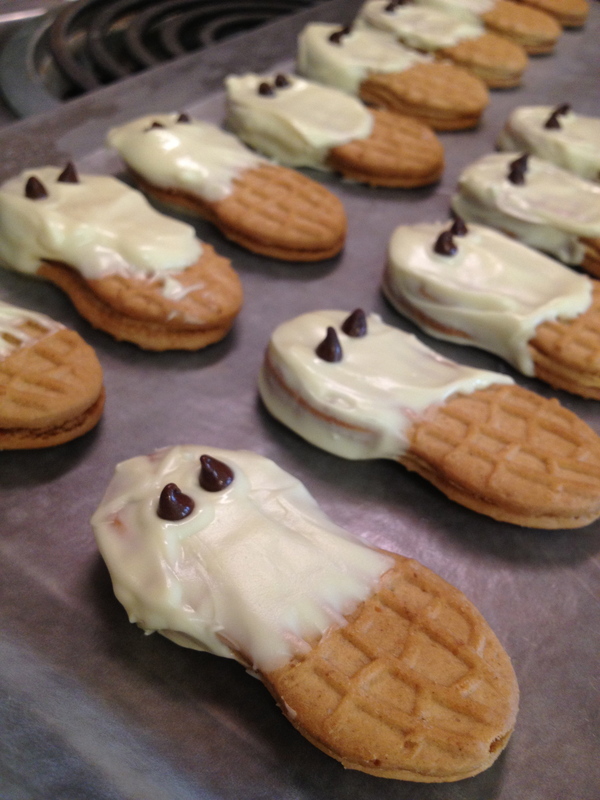 The best part is that these cookies are so easy anyone (and I mean anyone….if I’m doing it 😉 can do it. I had a blast making these with my family and it was a fun way to kick off the holiday season.